Sowerby, G.B. 1868. Genus Mycetopus. Conchologica Iconica 16: pls. 1-4. ‘Gray?, MS” Sowerby, 1868, Conch. Icon. : pl. 2, sp. 3. Sowerby, 1868, Conch. Icon. : pl. 3, sp. 7. 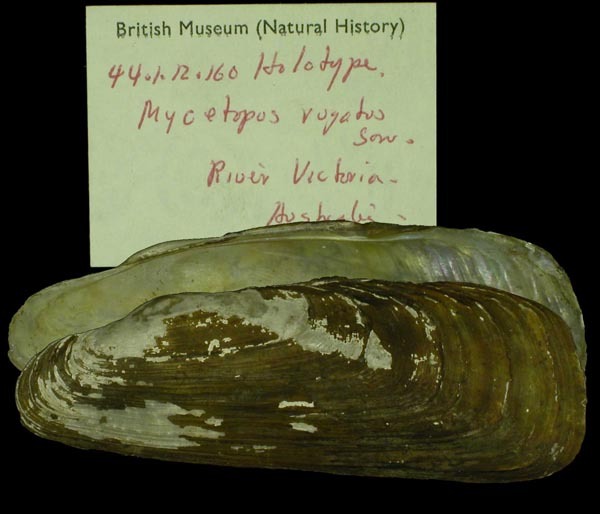 Type(s): LECTOTYPE BMNH_44-1-12-160 (selected by McMichael & Hiscock, 1958), Victoria River, N. Australia. Mycetopus emarginatus Lea, 1860. — Sowerby (1868). Mycetopus falcatus Higgins, 1868. — Sowerby (1868). Mycetopus plicatus ‘Gray?, MS” Sowerby, 1868. — Sowerby (1868). Mycetopus pygmaeus (Spix). — Sowerby (1868). Mycetopus rugatus Sowerby, 1868. — Sowerby (1868). Mycetopus siliquosus (d’Orbigny). — Sowerby (1868). Mycetopus soleniformis (d’Orbigny, 1835). — Sowerby (1868). 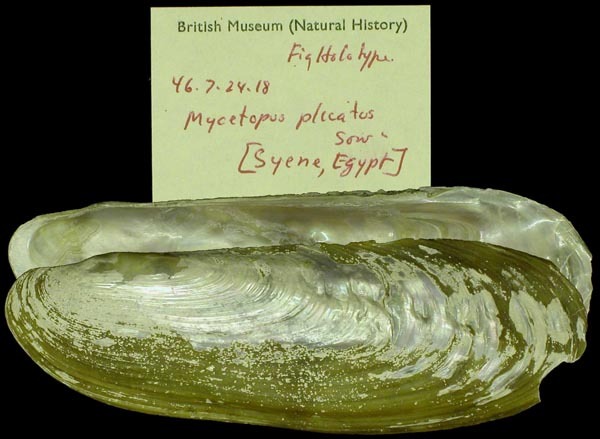 Mycetopus subsinuatus Sowerby, 1868. — Sowerby (1868). Mycetopus ventricosus d’Orbigny, 1843. — Sowerby (1868). Mycetopus weddellii Hupé, 1857. — Sowerby (1868).